Noriyaro is all about driving in Japan, so enough of the Sprinters and Nissans and big Toyotas for now. 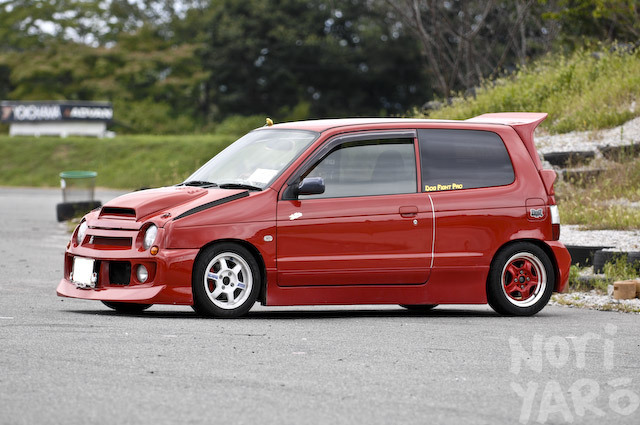 Have a quick look at the smaller side of going fast, namely the Suzuki Alto turbo. This red one is owned by a girl down in Okayama Prefecture who doesn’t just cruise around narrow backstreets, but actually thrashes it on the track on a set of little 185/50 13-inch Advan Neovas. The three-piston exhaust note has a very distinct sound, especially when revving to 9000rpm and combined with a miniature blow-off valve. This older Alto is a perfect example of late-80s Japanese “technoboxy” awesomeness. The original sticker sheet for the car must have been roughly A2-sized, with every single technical feature of the car neatly listed on the doors and rear hatch. As retrocool as this car is, the amount of rust in the sills means that next time registration shaken comes around, this little piece of history might end up in the scrapyard. That second Alto has the exact same bodykit as an Alto a few blocks away. I love my Kei Car. 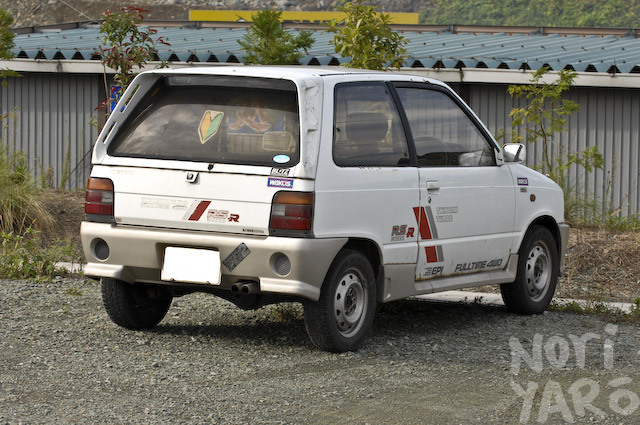 Daihatsu Mira TRxx. It’s way more fun than my silvia!